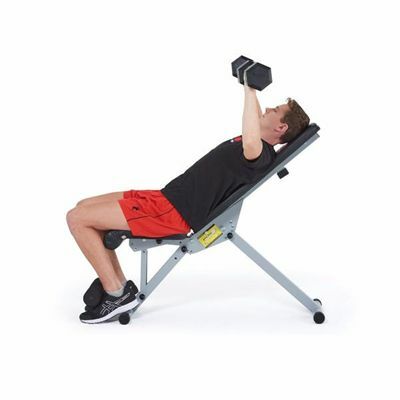 The York 13-in-1 utility workout bench is equipped with a backrest that can be moved from decline, through flat to incline positions, which enables you to perform a variety of exercises including bicep curls, chest flys, sit ups, shoulders press and hyper extensions. 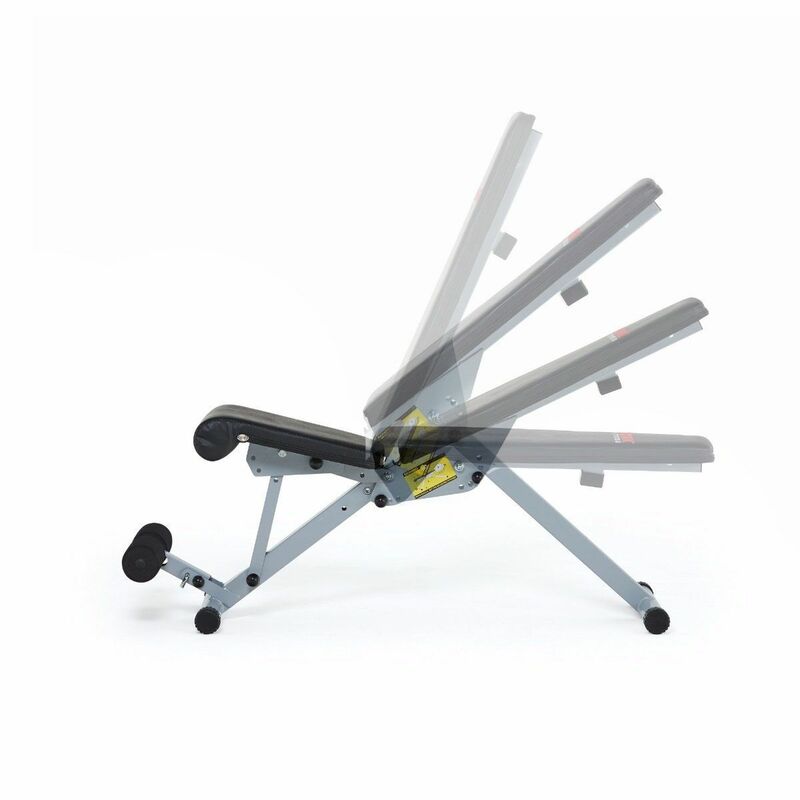 It provides a choice of 3 decline settings for abdominal training, 4 incline settings, 4 rear incline positions for hyper extensions as well as a bicep curl pad and a flat platform. 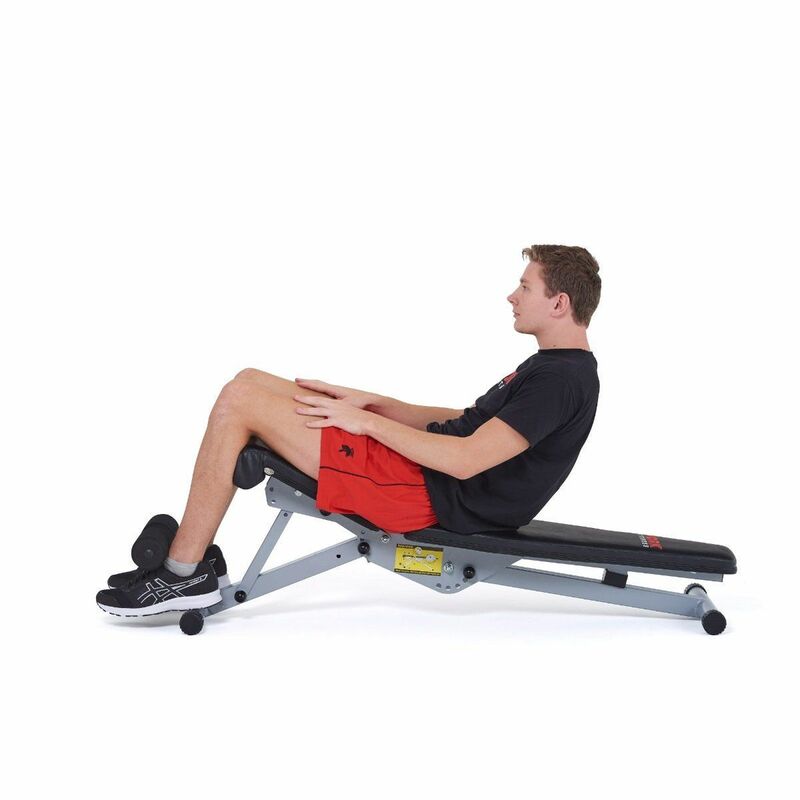 Enhanced comfort during the workout is ensured by deep cushion upholstery and under knee padding, whereas pull pins make position adjustments quick and simple. This versatile bench folds for storage and has a maximum weight capacity of 180kg (396.8lbs). 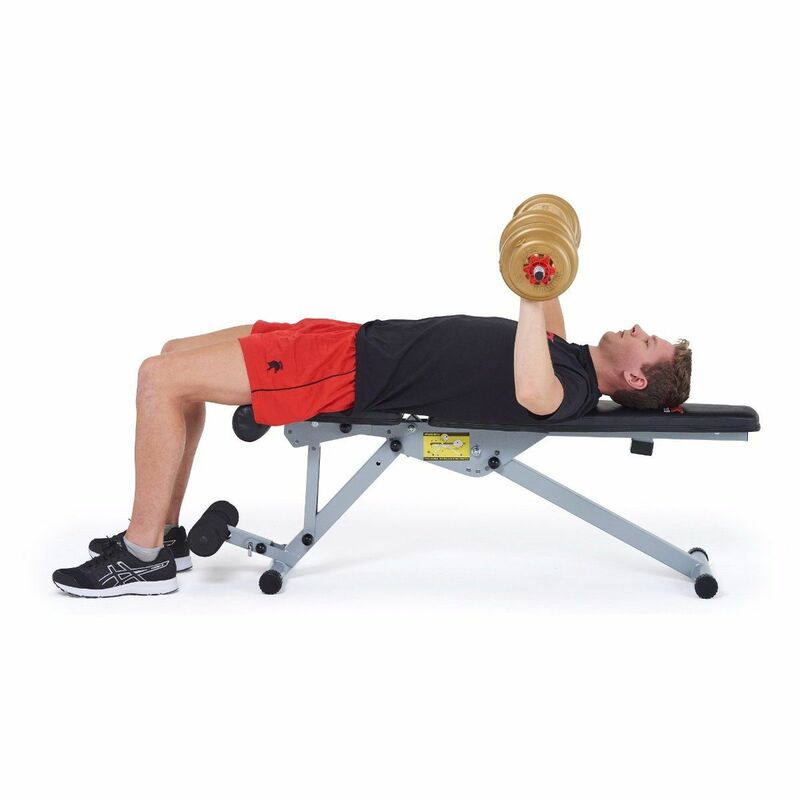 for submitting product information about York 13-in-1 Utility Workout Bench We aim to answer all questions within 2-3 days. 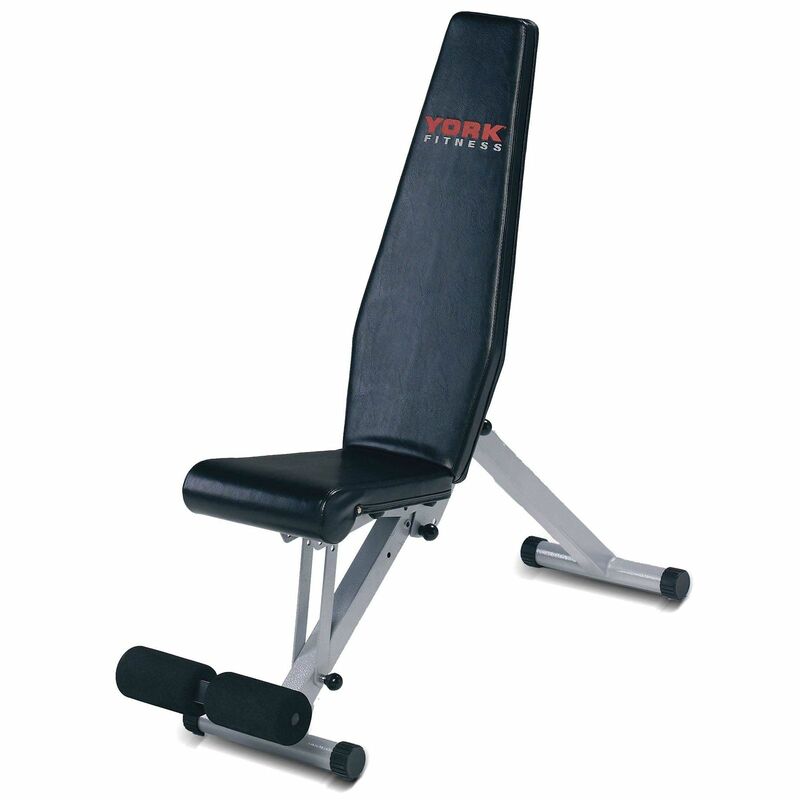 for submitting product information about York 13-in-1 Utility Workout Bench. We aim to answer all questions within 2-3 days. If you provided your name and email address, we will email you as soon as the answer is published. 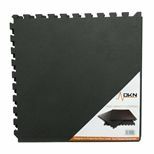 Do you have to physically unscrew any part of this to get it to fold flat against a wall? Hi. No you don't have to unscrew anything. This bench uses a system of pins to fix the bench into different positions. 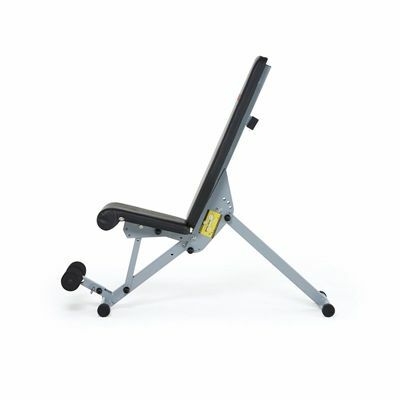 Does the seat angle raise for incline pressing? 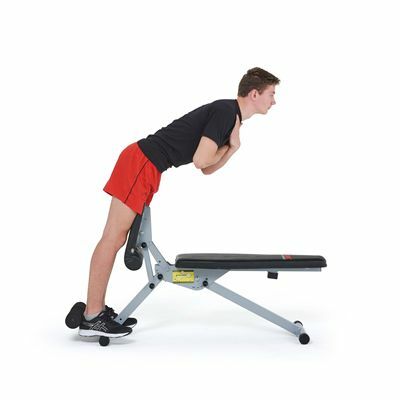 Yes, this bench provides a choice of 4 incline settings (15° rear incline, 25° rear incline, 45° rear incline, 70° rear incline) as well as a choice of 3 decline settings. Very good, solid bench. I was looking on the market for ages prior to identifying this York Bench and knew it was the right buy as soon as I got it. The fact that it gives you so many different exercise techniques compared to a standard bench is a massive bonus (and probably the same price too!). 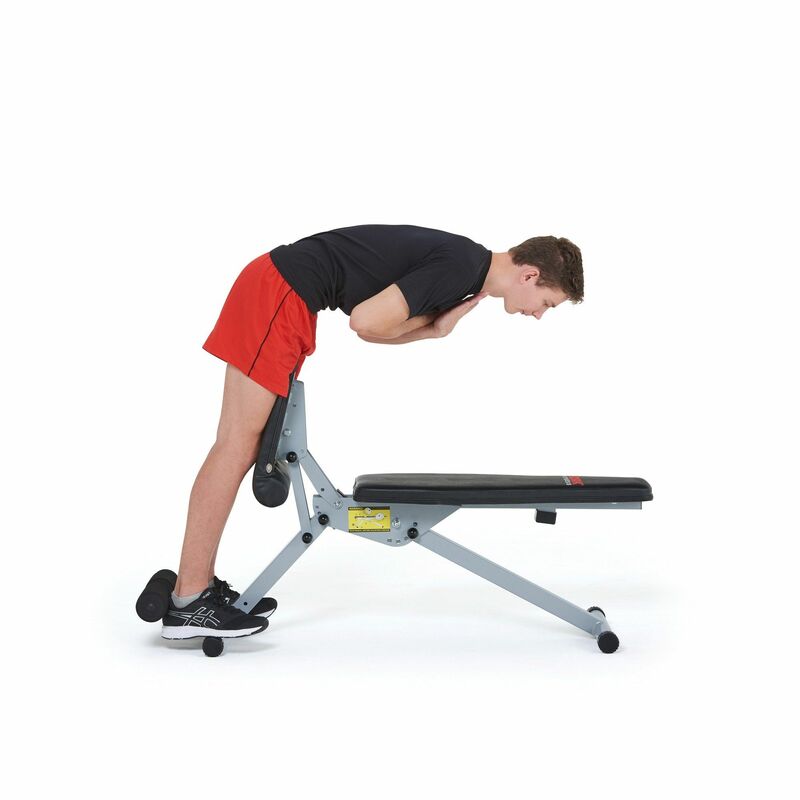 Love the fact it can fold right down to the ground, so it's hidden under my bed too. Excellent Bench. Very versatile, and innovative design caters for my requirements. 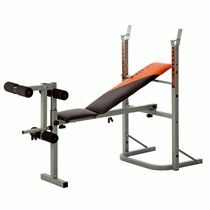 I chose this bench after a lot of research looking at fold flat benches. As space and storage was important. This one stood out because of the range of positions available, decline to full upright. 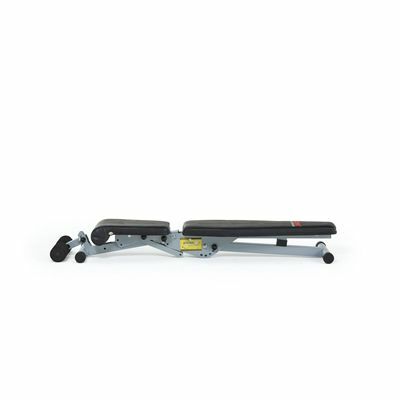 Together with a clever preacher curl support. None of the other benches had that many combinations . for submitting product review about York 13-in-1 Utility Workout Bench.